Being one of the trusted organizations in the market, we are indulged in providing a wide range of Manual Ball Pen Making Machine. 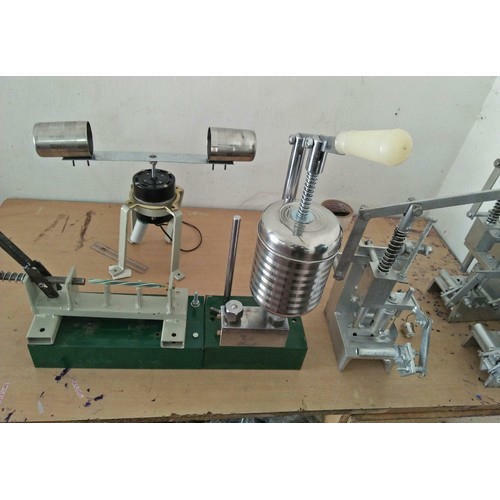 Incorporated in the year 1984, we, Delhi Print Linkers are a renowned Wholesale Trader offering quality assortment of products like Billing Machine, Money Counting Machine, Packaging Machines and many more.These products are superior which makes them best amongst the competitor’s products. Our licensed vendors use quality ingredients and material for fabricating our products. The offered products are widely appreciated by the customers due to its high standards indicated by its qualities such as reliability, excellent performance, longer functional life, compact designs and efficiency.